Some things need to be done, whatever one’s trepidations, at least once in a lifetime. For many years I’ve sent my regretful declines in response to kind invitations to the Veritas Awards ceremony (partly because I don’t possess the “black tie” that’s indicated as the dress code, and wasn’t going to hire it), But this year, more or less as a joke, I forwarded the invitation to a friend, with a question mark, and received an inexplicably enthusiastic exclamation mark (as it were) in response. 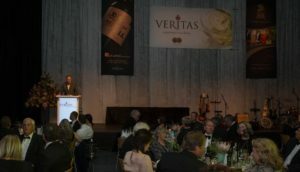 Veritas Awards MC Bennie Howard. So, I in a black suit and he in a proper tux proceeded with 600-odd others to the Cape Town International Convention Centre for dinner and to applaud the winners of 193 gold medals (names only) and 71 double-gold winners – each represented by one or more people trotting up to the stage as the music tracks crescendoed (everything from Paul Simon to … not Paul Simon). As to music, there were also two live bands that took over during the periods when Bennie Howard (MC extraordinaire) gave us a rest from the presentations. All splendidly amplified, of course, obliging everyone to shout at each other rather than converse or retreat into stunned silence. When a DJ took over at the end of the evening, for some to dance, the volume was such as to make the whole CITCC vibrate in sympathy – though not in sympathy with me. Enough curmudgeonliness. Let me rather dutifully recall that the evening started with a prayer – especially written by Dave Hughes, himself sadly too ailing to attend but in his best literary form and venturing quasi-rhyming confidence that God would “bless our food and keep us in cheery mood” (a line which William McGonagall might have envied). The mood was indeed pretty cheery, as far as I could tell, especially in the quarter where the sizeable Distell contingent sat; bursts of hearty applause came from them each time one of their wines was mentioned. 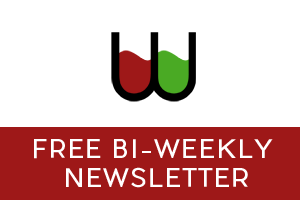 Which was often enough, though perhaps less often than you might hope from a company responsible for about a third of South Africa’s wine. 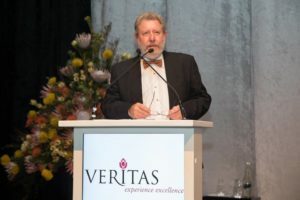 I did wonder why the Veritas organisers made such a point of mentioning the Distell ownership of all the diverse winning brands (Nederburg, Fleur du Cap, Alto et al), but that was naïve of me – how else could Distell get the glory of being “top achiever”? Distell must be flattered. 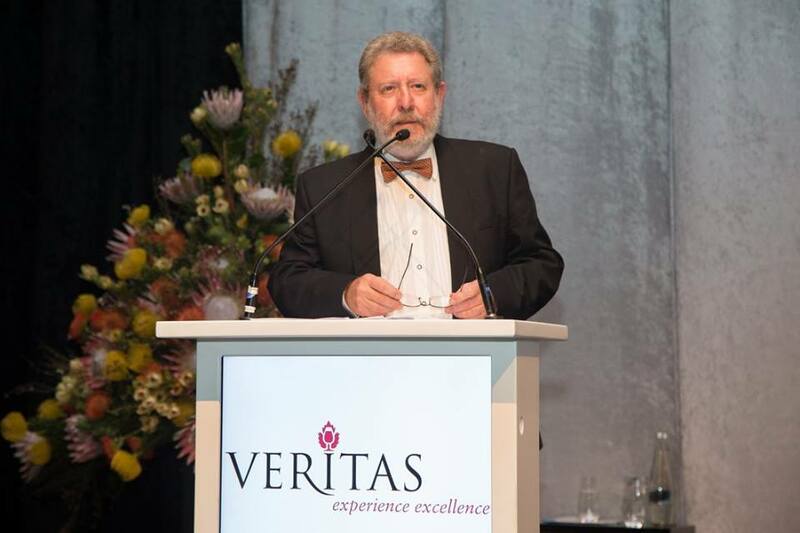 If it grumpily pulled out of Veritas, I guess the whole edifice would totter; if the other large or large-ish producers like KWV, Diemersdal, Kleine Zalze and Spier also abstained, collapse would be inevitable. Who, in fact, apart from such industry stalwarts and the co-ops, does enter wines into Veritas, keeping it as the largest local wine competition? You certainly aren’t going to find here many representatives of the forces making Cape wine as exciting as it is. That applies to some extent to all the competitions of course, but more to Veritas. It came as something of a jolt any time a name like Glenelly or Eagles Nest was mentioned in the awards (it didn’t happen often). I would wonder: what on earth induced THEM to take part? The whole event was expertly, even faultlessly managed, and I had quite a bit of fun until the DJ and boredom drove me away, leaving the place to the younger dancers and stragglers. Catering to that many guests is not easy, and the food was pretty good. The wine should have been better and more copiously offered – no double-gold stuff at our table, anyway (I hope it didn’t get double gold, though anything’s possible). One aspect I must sincerely applaud. When the top winners were announced, there was due honour given not only to the winemaker as usual, but also to the viticulturist. I’m convinced it must have been a viticulturist I saw as we left, wearing heavy brown boots with his extraordinarily ill-fitting tuxedo – it was easy to imagine him getting into his bakkie, loosening his tie with a sigh of relief at the prospect of returning to the farm, to the tractor and fertiliser. In fact, there was, I quickly realised, no need to feel too worried about being a trifle under-dressed myself. It was the sort of occasion that convention demands be described as glittering – but not even the most accomplished PR person could plausibly wax lyrical about the elegance of most of the guests (my dear – some of those frocks!). Chic is not, anyway, what Veritas is about. Culturally it links to the good-old, bad-old days of the 20th century – and certainly, rather more important than chic, looking about me I couldn’t see any evidence to challenge Michael Fridjhon’s remarks on this website last week about the lack of transformation in the wine industry. Nor could I see it in the urge to bring forward another bunch of elderly white male worthies to be hailed as “living legends”. Along with this culpability, though, and connected to the old-fashioned rusticity, I confess I find something rather charmingly innocent and idealistic in the whole Veritas project. At least compared, say, with the sophistication of the Trophy Wine Show, or the cynicism of the Michelangelo Awards with its platinum medals. Veritas seems to hang, however perilously, onto a belief in something (but don’t investigate it too closely) more than money. Results are available here. Double Gold and Gold wines and brandies can be tasted in Cape Town (18 October – R150), Johannesburg (24 October – R170), Durban (9 November – R110) and Port Elizabeth (15 November). Tickets are available from Computicket. But who will explain the difference in the prices of the tickets? Perhaps I’m wrong about the lesser cynicism. 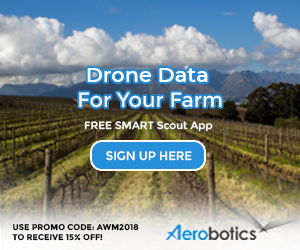 Hi Ryan, I have to agree that it’s disappointing when a competition which charges approximately R1000 per entry can’t get full results online timeously. If I was a producer who has payed to have wines entered in Veritas and this is the outcome I would have something to say. What else is an award for but to increase exposure and sales of a wine.